At Starbucks, we like to do things a little differently. Call it meaningful connections or perhaps magic, we want each and every one of your visits to be special. A place that embraces diversity with a menu as unique as you are. We offer you an abundance of the world's most delicious drinks; each innovatively created and thoughtfully handcrafted. And, with great food to go with it too that’s best enjoyed over catch-up with your friends. 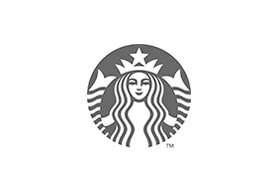 Come visit us at Chadstone - The Fashion Capital, and enjoy your Starbucks favourites.